1. Spending time in this hideaway in the woods. 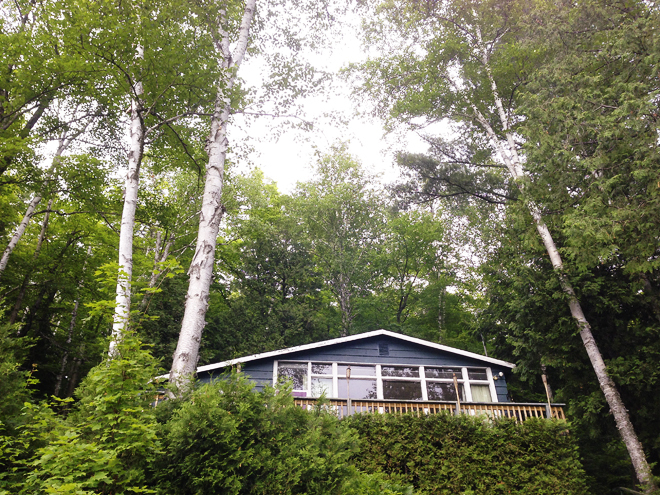 She might be showing her age, but this cottage, built by HandyMan's parents, is still strong enough to hold our summer memories. 2. 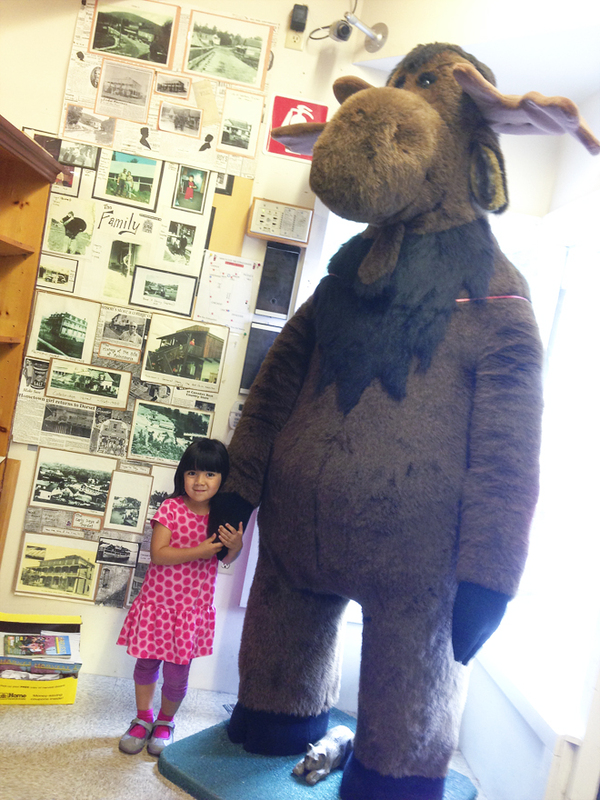 Kitschy fare like this giant moose at the grocery store. Only in cottage country! 3. 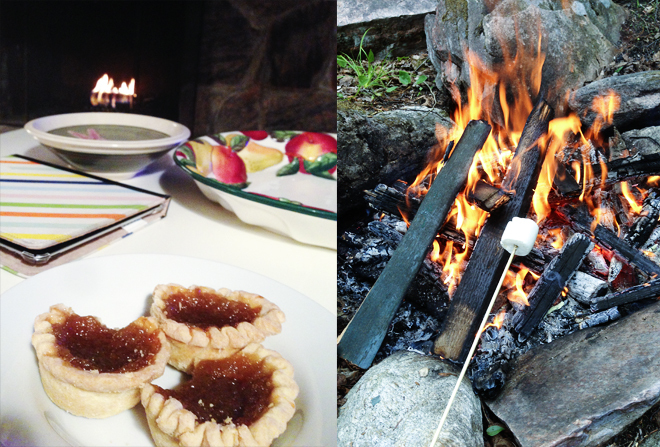 The tastes of the cottage... fresh butter tarts, roasted marshmallows, and the bass I caught off the dock (sorry, no pics of the googly eyed fish)! 4. 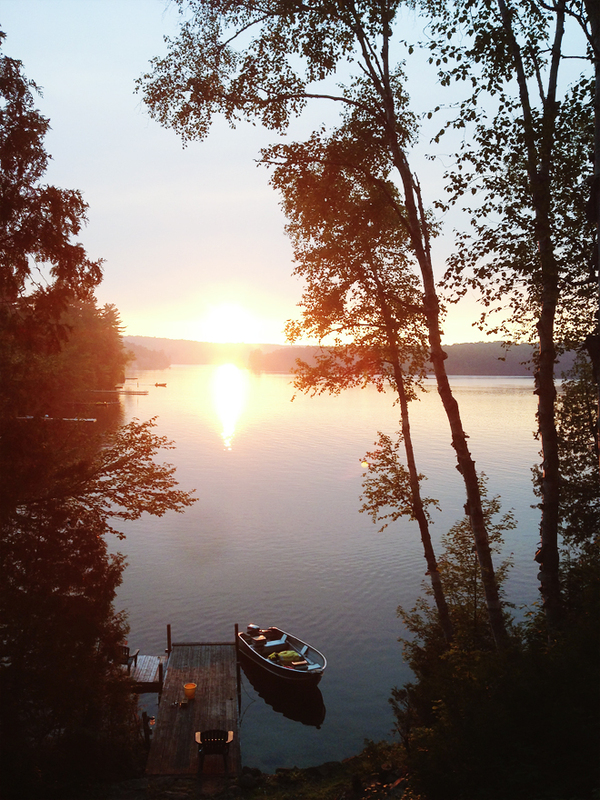 Summer sunsets where the lake is still and all you hear are the cries of the loons. 5. 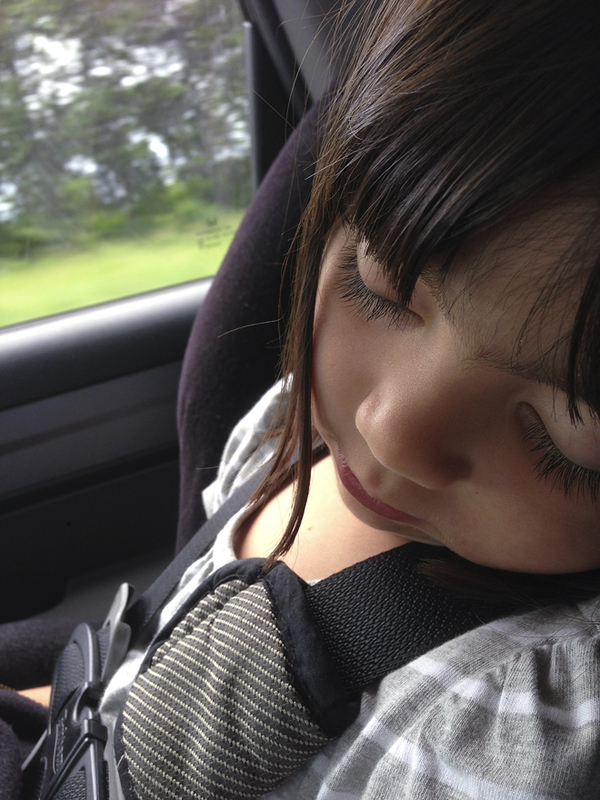 A little one who falls asleep as soon as our tires hit the dirt roads. 6. 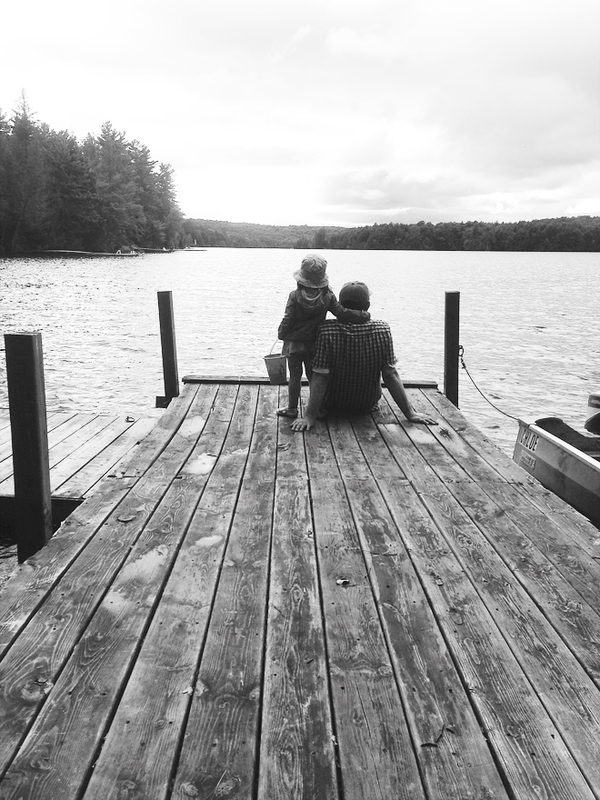 Moments like this: Chloe enjoying the same lake her dad did when he was a kid. Do you have a favourite summer getaway?